Our roots are in agricultural engineering. Over the years, adjacent business areas were added: forest and grasscare, construction machinery and original equipment manufacturing (OEM). With these new markets, we have significantly expanded our playing fields and developed into an international e-business and service partner. We are now a partner who offers customized solutions, a partner who provides help with taking the next step. For numerous agricultural machinery dealers, our range of spare parts is an essential part of their own service. 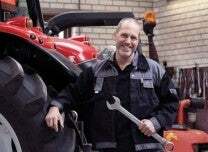 We support them through our comprehensive range, rapid delivery of spare parts and optimum availability, which means they are able to offer their own customers—contractors and farmers—service with perfect timing. Combined with our services and the expertise of our employees, this makes us an indispensable partner for specialists in the field of agriculture. 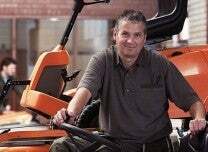 Professional clients, such as gardeners and forest managers, rely on their specialist dealers for power equipment and make continuous use of their services. Private individuals are increasingly finding their way to specialist dealers. Our spare parts and innovative services help our dealers to provide an optimum service to both target groups. When using your own or hired machines in construction or similar areas, time is everything. Regular maintenance is aimed at reducing the risk of breakdown as much as possible. This means the rapid availability of components is very important. 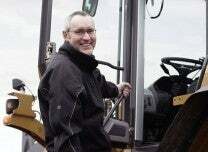 For this reason, more and more construction companies, retailers and developers are cooperating with Kramp. Series production or individual custom manufacturing? For many years, Kramp has been a point of reference for original equipment manufacturers (OEM) and manufacturers in Europe. In addition to spare parts, we offer expertise and specialist knowledge in the development and manufacture of machines. An experienced team of engineers is available to support our customers in this area. In addition, we also help them to save on costs. We deliver just-in-time, which is why our customers can manage with a minimum stock of spare parts. With our network and our employees in India and China, we specialize in the global sourcing of components. Do you want to discover your strengths with us? Then take a look at our job board! Excellent job prospects — get to know us and our business philosophy!